Yesterday my husband and I had some errands to run and one of those was to hit the store. It is funny how a few things on your mental list change as soon as you walk into the store. We wandered to the food side of the store to get hamburger rolls for the hamburgers we were grilling for dinner. One thing led to another and all of a sudden we had a bunch of stuff in the cart. Does this happen to anyone else besides me? I always seem to wander out of the store with more than what I had intended to buy. Sometimes leaving without the main thing I was going in for. Don't even get me started on the list. I will spend time writing "the list" before we go, to either leave it at home or never even pull it out. Drives me nuts when I do this. Somehow I guess I just think I will remember everything I put on "the list" I guess I am more of a visual person and when I see it somehow I "think" it will spark a memory. Yeah, we will go with that. I am known for buying too many fresh ingredients and not use them up before they go bad. While in the store I asked the hubby if we should get some fruit. I was inching my way through the produce department grabbing probably every fruit there was in there. After quite a few things he says to me "we will never eat all this" but in my crazy mind I kept picking up stuff and putting it in my cart. He now knows how my mind works overtime when I am in the grocery store. When those creative juices start flowing, it is hard to stop it. Needless the say, I bought a lot of fresh fruit and the first thing I did was make a fruit salad. I can assure you this one will not last long. 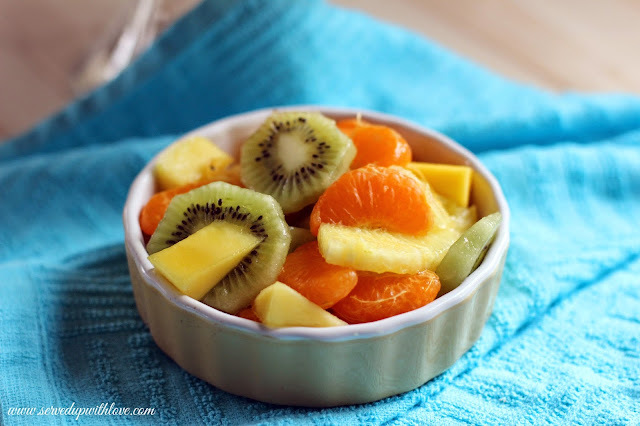 Prepare fruit and place in a large bowl. In a smaller bowl, combine the lime zest, lime juice, and honey. Whisk until combined and pour over fruit. 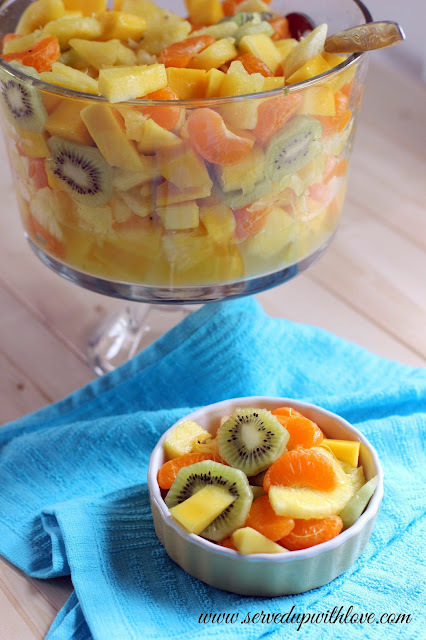 Toss fruit until honey mixture covers fruit. Keep refrigerated until ready to serve. 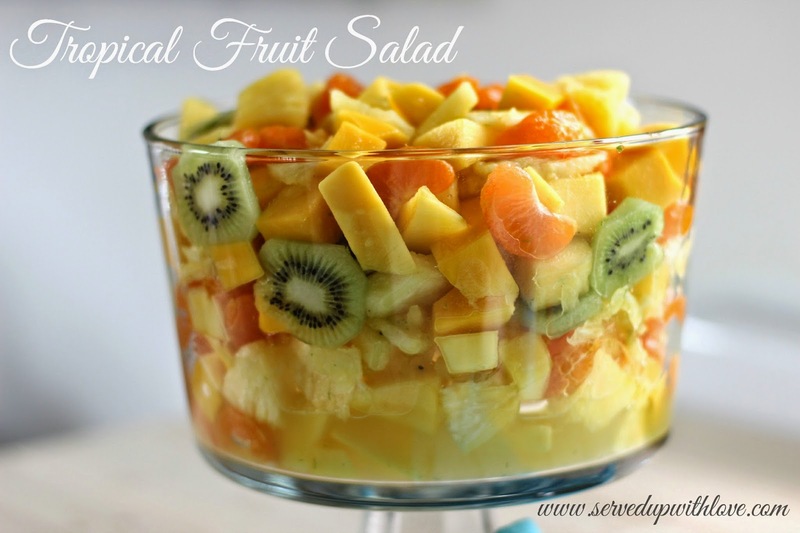 Such a refreshing healthy salad. Thanks Marsha, I love hanging out with you all at Weekend Potluck! What an honor Marsha! Thanks a bunch for choosing my recipe!